The customer for this component had a guitar application where due to a lack of Earth grounding he was seeing a “phantom” voltage being induced elsewhere in his product. Instead of ignoring this voltage he decided he could make use of it. Phantom voltage has virtually no “sourcing” ability, it is a magnetically coupled or induced voltage that lacks the ability to source current which often makes the voltage of no real use; in fact it is often unwanted or undesired. The customer decided if he could step up this voltage using a very high impedance transformer and then use that output to drive a high impedance op-amp, which is powered independently, he could actually make use of the amplitude modulated waveform coming from the transformer. He first used an off the shelf step-up transformer. This transformer used a laminated silicon steel core. The frequency of the waveform was centered around 100kHz with virtually no bandwidth. He found this transformer had losses too great to be of any use. He approached CET with his idea and, after consultation; a plan was set in place. Instead of a silicon steel core we used a ferrite core material much better suited for low core loss at the frequency he was seeing. The transformer was also designed to have a fairly large inductance such that the current reached on every half period of the waveform was quite small indeed. Essentially the transformer was designed to have a large volt-second constant meaning that voltage could be applied for a significant amount of time before core saturation would be reached. In fact given the fairly small period of the waveform the final current reached each half period was in fact very, very small. This was needed due to the inability of the source of power, the phantom power, to actually source current of any significant value. The small current, flowing through a fairly significant number of turns, on a highly permeable core, was indeed sufficient to induce enough primary magnetic flux, that when moved through the core and scaled by the turns ratio, induced a larger secondary voltage. 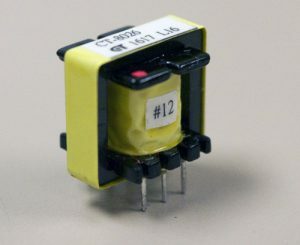 The high impedance of this transformer allowed for virtually no distortion or degradation of the voltage from the primary to secondary, as the current draw was near zero amps. This gave the customer a scaled voltage he presented to a high input impedance op-amp with its own external circuit elements allowing him to integrate, and/or differentiate the signal, with time creating related yet “new” waveforms based off the initial phantom voltage he had to work with. 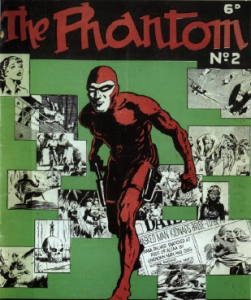 The Phantom knows to contact CET Technology for standard and custom magnetics. Let us know if we can help you.